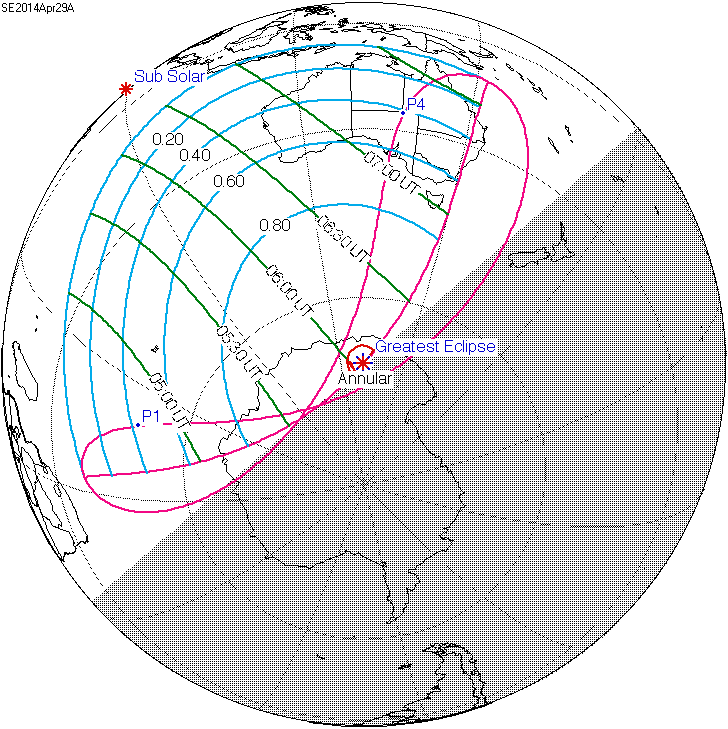 An annular solar eclipse occurred on April 29, 2014. A solar eclipse occurs when the Moon passes between Earth and the Sun, thereby totally or partly obscuring the image of the Sun for a viewer on Earth. An annular solar eclipse occurs when the Moon’s apparent diameter is smaller than the Sun’s, blocking most of the Sun’s light and causing the Sun to look like an annulus (ring). An annular eclipse appears as a partial eclipse over a region of the Earth thousands of kilometres wide. 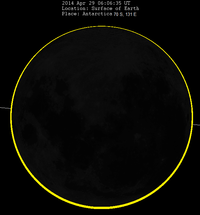 The center of the moon‘s shadow misses the south Pole of the Earth, but the partial eclipse is visible from parts of Antarctica and Australia. Let us know a bit about your project – the location, size, and stage of development. We need to gather this information before Monday, April 28. This will help us gauge interest in such a program offering. Send us a note at info@solargardens.org and include any questions you may have. Thank you very much for your thoughtful and generous contribution to our Indiegogo campaign–and for all your help in sharing the project with others! 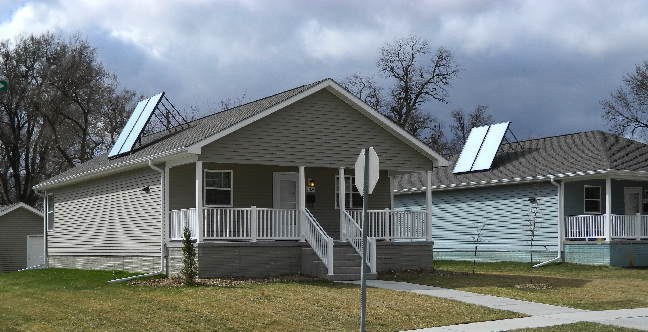 We have sufficient funds to solar power the first house in the historic Benson neighborhood in Omaha. Habitat volunteers are completely renovating the house and making it energy efficient, with Energy Star appliances, lots of insulation, and LED lights. And now we are halfway toward solar powering the second Habitat house, thanks to yours and many other contributions, as well as a donation from Bank of the West. It’s a new house in South Omaha, which volunteers are now building and should be completed in August. We’ll send you another email with photos when all five houses are built and rehabbed, with as many solar installations as we can raise funds for. We’ll also send the two solar books you’ve selected–we hope you’ll enjoy them. There are only 32 days left to raise the $32,500 goal for this campaign. So far, $8,473 of the $32,500 has been raised. Your help by foregoing a cup of coffee, a movie, or a new shirt/pants this month as a contribution to this Indiegogo campaign (for Habitat For Humanity of Omaha) will translate into thousands of dollars of savings and reduction of CO2 emission for these five low-income families for many years to come. Your donations are tax-deductible. All Indiegogo funds raised for this campaign will go directly to Habitat For Humanity of Omaha. I hope any of you who is involved with your local community centers or Habitat For Humanity will also consider installing solar projects (such as solar hot water heater) to be implemented via collaboration campaign(s) through crowdfunding platforms such as Indiegogo. (https://www.youtube.com/watch?v=4r4uFiNtdL4) Let’s spread more sunshine throughout our planet earth! The International Photovoltaic Equipment Association (IPVEA), the premiere trade organization supporting and enabling Upstream Solar and energy storage professionals worldwide, has announced a new initiative – “IPVEA study on optimizing the worldwide solar PV supply chain” – to maximize the potential for PV commerce in all corners of the world. IPVEA is partnering with Solar PV Consulting to embark on this groundbreaking research, whose aim is globally stimulate and meet demand for solar PV installations. IPVEA and Solar PV Consulting experts estimate that the solar PV industry currently is losing annually an estimated USD$400-500 million, due to an un-optimized supply chain. Projected losses can exceed USD$1 billion by 2018* if nothing is done to improve the way the industry does business (*based on IHS forecast that annual installations will surpass 100 GW in 2018). “It’s imperative we draw the industry’s collective attention into the field of supply chain/value chain management, the backbone of any robust global operating organization,” says Bryan Ekus, Managing Director of IPVEA. “Stable processes that can be easily scalable are the key to support global rapid sales expansion,” he adds. IPVEA will conduct the study with support of Solar PV Consulting and leading experts in the field. The study will be executed under the governance of IPVEA’s Supervisory Industry and Experts Committee, composed by industry leaders both from IPVEA and non-IPVEA member companies from the entire value chain and well-recognized solar PV industry experts. Solar PV Consulting is collecting the data on behalf of IPVEA, and following tabulation of the data, will make recommendations – together with the Supervisory Industry and Experts Committee – designed to remove the bottlenecks. All information collected by IPVEA and Solar PV Consulting will only be used for the purpose of the study. It is strictly confidential and will not be disclosed to any third party. The results of the survey will be revealed at a VIP event, “Solar Business Leaders Lunch,” on May 19th in Shanghai, China during the 8th Annual SNEC (2014) International Photovoltaic Power Generation Conference & Exhibition. The lunch is being created by IPVEA, with support from the Solar Business Club, and SNEIA, the local Chinese solar association. Established in May 2008, the International Photovoltaic Equipment Association (IPVEA) is an independent, non-profit organization of manufacturers and suppliers of photovoltaic (PV) fabrication equipment and related raw materials used in PV ingot, wafer, cell (crystalline and thin-film), and panel manufacturing. The association’s member companies represent the wide spectrum of equipment and materials including that related to crystal growth, diffusion furnaces, glavanics, laminators, laser systems, materials handling, metallization, printing, process integration, solar simulators, substrate handling, testing, vacuum systems, waste gas abatement, wet chemical systems, and related materials and professional services. The overall mission of the association is to provide members with a forum for information, discussion and exchange of ideas, as well as assist in developing business opportunities and strategic partnerships. Solar PV Consulting is a business facilitator, specializing in C Suite-level B2B services for the solar PV industry. Copyright © 2014 IPVEA Communications – USA, All rights reserved. April 9, 2014, by Craig Morris: Even when the foreign press reports on the correct numbers, a lot of the terms can still be slightly misleading. Today, we focus on a report at Reuters to help the international audience understand the issues. April 4, 2014, by Linda Archibald: The man who initiated the Feed-in Tariff (FiT) concept says Malaysia should increase the quota for renewable energy (RE) for its own FiT programme to create enough mass to face potential roadblocks ahead. April 4, 2014,The Strategy makes clear DECC want this market to grow over the next few years, so it will be key to change the feed-in tariff reduction triggers and the upper tariff band to enable this. We can fix the barriers, but the policy framework must allow the growth we all want to see. April 4, 2014,The use of the fixed feed‐in systems that have so far been successful in minimizing financing costs is prohibited from January 2015 for all but small installations. This shift to a “market premium” is likely to increase financing costs and might have negative effects on the efficiency of short‐term markets and effectiveness of forward markets. April 3, 2014, by Craig Morris: While the German government does not specifically plan to change the design of feed-in tariffs for PV this year, the application of the renewables surcharge to solar power directly consumed does change things considerably. April 3, 2014, by John Parnel: End-market demand was said to have been driven by Japan and the UK, which combined accounted for more than one-third of demand globally as well as setting new quarterly records for PV deployed. March 28, 2014,Three German federal states have reached a deal with German Economics and Energy Minister Sigmar Gabriel (SPD) whereby only part of the feed-in tariff surcharge will be applied to new solar photovoltaic systems which supply electricity for the system owner’s use. March 28, 2014, by Craig Morris: Yesterday, Brussels approved French feed-in tariffs for wind but said it would investigate industry exemptions. In related news, a draft of the latest energy policy proposals leaked earlier this month probably provides so many backdoors for feed-in tariffs as to make the policy viable going forward. April 7, 2014, by Andrew Dewitt: Japan’s energy policy regime appears dangerously adrift in the context of accelerating climate change. The core problem is agency. On the one hand, Japanese PM Abe Shinzo and the nuclear village appear obsessed with nuclear power restarts and 20th century paradigms of the power economy. March 31, 2014, by Craig Morris: On Friday, German power provider Eon confirmed that it will shut down a nuclear plant ahead of schedule. The premature discontinuation of lignite excavation also announced that day, however, is a governmental decision, albeit one the firm may have been about to make itself. March 27, 2014, by Glen Estill: Natural gas in storage in the US continued its decline in the most recent update from the US Energy Information Agency. (Why doesn’t Canada publish this type of data?) The ongoing cold winter reduced the gas in storage to 896 Bcf. This compares with the 5 year average of 1822 Bcf, a reduction of 51%. Gas in storage dropped in the week ended Mar 21 by 57 Bcf. Last year in the same week gas in storage was pretty much the same as the week before. March 26, 2014, by Bernard Chabot: But as his Figure 1 and, in particular, Figure 3 show, the boom in nuclear mainly took place in the 1970s. Growth continued in the 80s, but began stagnating at the end of the 90s, and has taken a dive since Fukushima. March 24, 2014, by Glen Estill: Areas with periodic droughts, like California, Australia, and even the US and Canadian west (remember the dust bowl) need to preserve their rivers and aquifers, or face severe economic consequences. In Canada, Alberta and Saskatchewan are especially vulnerable to drought. And these two province rely primarily on thermal electricity generation. March 23, 2014, by Dave Toke: The Hinkley C nuclear power plant deal that gives the nuclear developers a £92.50 per MWh premium price for 35 years will give nuclear power a clear competitive advantage over solar pv in what will be a growing electricity for motor vehicles market. March 20, 2014, by Chisaki Watanabe: Japan added 7,044 megawatts of clean energy capacity since it began an incentive program in July 2012 through the end of last year. March 19, 2014, by Craig Morris: In any normal situation, such hard facts would simply be reported – it’s not like there’s no way to say “carbon emissions are slightly down year-over-year” in German. March 18, 2014,A majority of respondents continue to oppose bringing idle nuclear reactors back online, despite moves by the Abe administration to allow restarts as soon as this summer, according to an Asahi Shimbun poll. March 17, 2014, by Glen Estill: Some have forecast that the fracking boom may be close to running it’s course. The depletion rates for fracked gas are very high – that is, the well stops producing very quickly. We may not have the surpluses we think we do. But we can make huge surpluses without fracking if we choose to. 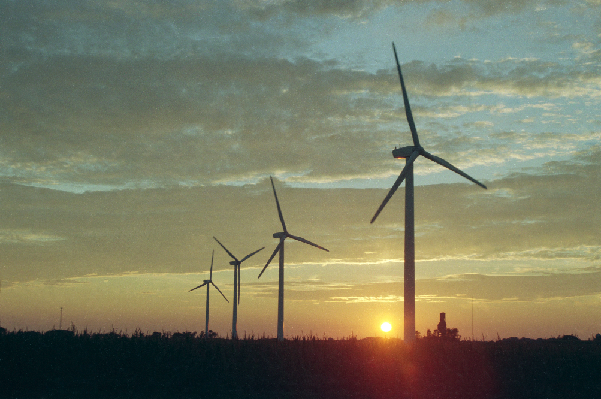 April 3, 2014, by David Suzuki: I think windmills are beautiful. 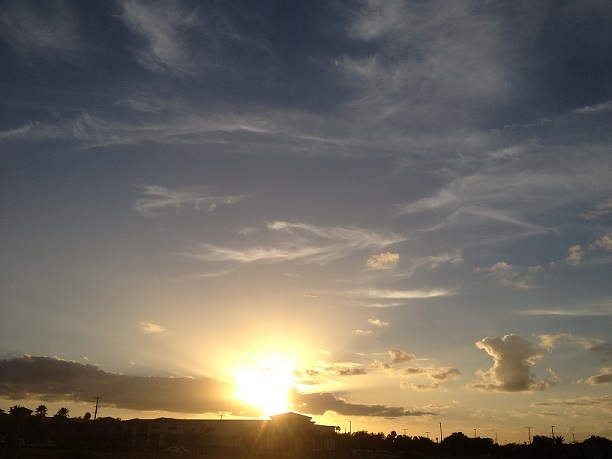 They harness the wind’s power to supply us with heat and light. They provide local jobs. They help clean air and reduce climate change. March 30, 2014, by Karl-Friedrich LenzDaniel Wetzel at WELT reports on a new nationwide anti-wind organization recently founded in Germany. The name of the new lobby group is “Vernunftkraft” (reason power). I am not linking to them, but I think that’s an interesting name. March 19, 2014, by Sarah Taylor: A proposed wind turbine installation near Camp Perry in Northwestern Ohio has recently been halted (see article) by environmental groups that turn out to have connections to the oil, gas and tourism industries. March 31, 2014, by Jonathan Migneault: Bob Jeffery, vice-president of the SUN Co-operative board, said the group has made an application with the Ontario Power Authority’s Feed-in-Tariff (FIT) program, which offers small green-power generators a chance to sell power to the provincial grid at a guaranteed rate. March 24, 2014, by Mark Pengilly: SB 1520, which passed the Oregon House and Senate with bipartisan support, has been signed into law by Governor Kitzhaber. The bill allows renewable energy cooperative corporations to be created and capitalized without the requirement of securities registration. March 19, 2014, by Craig Morris: The switch from state-run water services to the private sector made the public aware of the difference between the two options, but the possibility of energy democracy is poorly understood outside Germany even among proponents of renewables. Do citizens have the right to make their own energy? Should such a right be made law explicitly? 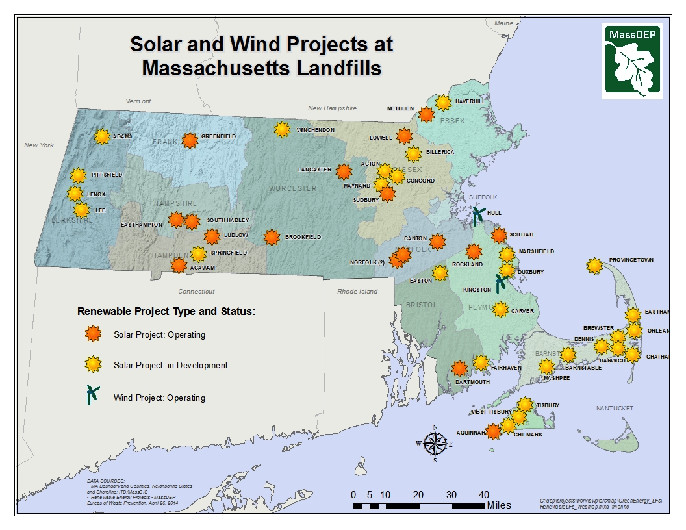 April 7, 2014, by Mike Barnard: Vertical axis wind turbines (VAWT) continue to get attention, press and R&D funding. Antagonists of mainstream wind generation continually point at them as if they were a superior technology. People perpetually re-invent them and believe that they have found something new and exciting. However, they are undeserving of any significant attention, are an inferior technology and definitely aren’t new. Outside of a couple of niches, they are more of a distraction from deployment of effective utility-scale, horizontal axis wind turbines (HAWT) than anything else. March 24, 2014,The world market for small wind has continued to grow: As of the end of 2012, a cumulative total of at least 806’000 small wind turbines were installed all over the world. This is an increase of 10 % compared with the previous year, when 730’000 units were registered. So much needs to be done in order to insure a safe and clean world for our future generations! The new challenges we’re facing in Triple E’s: Energy-Environment-Ecology. Our world truly needs new solutions to reduce the negative impacts of human beings on the delicate balance of nature. As Bertrand Piccard pronounced in the video below, “we need political courage and the pioneering spirit” in order to reach our goal and dream of a clean and sustainable world in the future! To Bertrand Piccard, Andre Borschberg, rest of the Solar Impulse Team and ABB, or ABB Group,we earthlings and solar enthusiasts from around the world owe a debt of gratitude for such a magnificent accomplishment ! Merci pour votre courage et l’esprit pionnier! Nous terriens et les amateurs solaires du monde entier vous devons une dette de gratitude pour un tel accomplissement magnifique! Solar Impulse 2 (HB-SIB), The Round-The-World Solar Airplane, Will Be Unveiled on Wed., April 9, 2014!!! Great News! Solar Impulse Team just released the news that the global leader in renewables, sustainable transportation, and energy efficiency, the Switzerland-based ABB, will support Bertrand Piccard and Andre Borschberg in their attempt to fly around the world in their Solar Impulse 2 (HB-SIB) in 2015!!! The construction of Solar Impulse 2 or HB-SIB started in 2011, incorporated much lessons learned from the previous HB-SIA, but with more spacious cockpit (enabling the pilot to fully recline during flights of 4-6 day duration). It will have an increased payload, isolated electrical circuitry to enable flights in rain, and improved reliability through system redundancy. Keep in mind that: (3:00 PM Swiss/Zurich Time = 9:00 AM EST, Florida Time= 9:00 PM Beijing Time=11:00 PM Sydney Time=3:00 PM South Africa Time=9:00 AM Acre, Brazil Time=6:00 PM Kerguelen, French Southern & Antarctic Lands Time). So, we can all follow live on www.solarimpulse.com the official presentation of the Round-The-World Solar Airplane, “Solar Impulse 2 (HB-SIB)”. Be sure to ADD THIS EVENT TO YOUR GOOGLE CALENDAR. The wingspan of HB-SIB will be 80.0 m (262.5 ft), slightly wider than an Airbus A380, the world’s largest passenger airliner, but unlike the 500-ton A380, the carbon-fibre Solar Impulse will weigh little more than an average automobile. It will feature a larger, pressurized cockpit and advanced avionics to allow for transcontinental and trans-oceanic flights. Supplemental oxygen and various other environmental support systems will allow the pilot to cruise at an altitude of 12,000 metres (39,000 ft). Completion was initially planned for 2013, with a circumnavigation of the globe in 20–25 days in 2014. However, following a structural failure of the main spar during static tests in July 2012, a more likely date for the circumnavigation is 2017. The flight would circle the world in the northern hemisphere, near the equator. Five stops are planned to allow changes of pilots. Each leg of the flight will last three to four days, limited by the physiology of each pilot. 1. Solar Plane-“All that is impossible remains to be achieved.” Jules Verne . 2. Solar Impulse HB-SIA-Solar Plane (1) . 3. Solar Impulse HB-SIA-Solar Plane (2) . 4. Solar Impulse Update! World’s First Solar-Powered Intercontinental Flight Completed ! 5. Solar Powered Plane, The Solar Impulse Reminds Us That The Ultimate Power Is The SUN . 6. Our Future In: Solar Impulse HB-SIA Across America Mission . 7. Let’s Show Our Support For Solar Plane-Solar Impulse . 8. Solar Impulse Will Be Taking Off For Its Third Leg Soon . 9. Severe Midwest Weather Brought Out Revolutionary Inflatable Hanger For Solar Impulse . 10.Solar Impulse Has Successfully Arrived At historic St. Louis ! 11.Get Ready To Hangout With The Solar Impulse Team ! 12.Solar Impulse-Google Science Fair Hangout . 13.Solar Impulse Is More Than Just About Solar Plane . 14.Let’s Support Solar Impulse Team’s Endeavor ! 15.Thank You, Solar Impulse ! 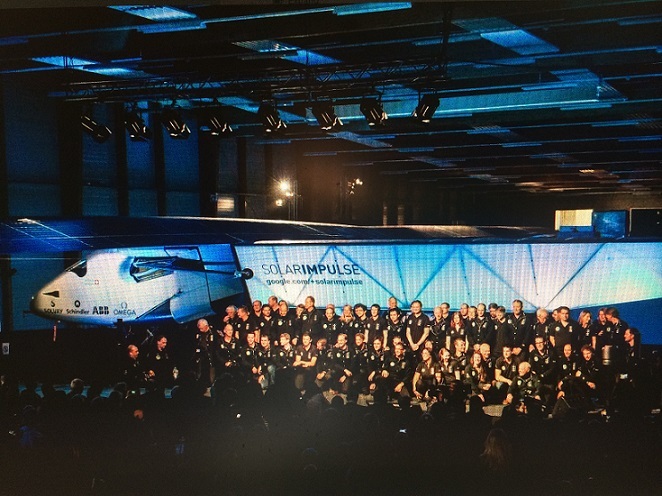 For those of you who want more details about the trials and tribulations and the Unbeatable Spirit of Solar Impulse, be sure to also check out the SolarImpulseChannel at Youtube. and SolarImpulse at Google+. 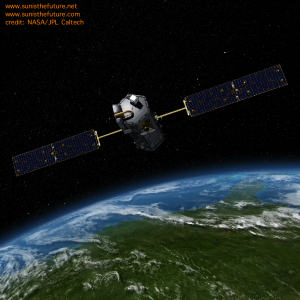 Why Is OCO-2 Helpful With Managing Atmospheric CO2 ? For this post, we will be concentrating on one aspect of CO2 emission. Keep in mind that we can only manage what we can measure! 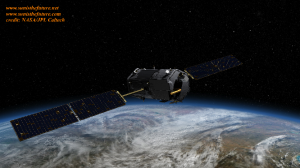 The Orbiting Carbon Observatory (OCO)-2, set to launch in July 2014, will make precise, global measurements of carbon dioxide, the greenhouse gas that is the largest human-generated contributor to global warming. 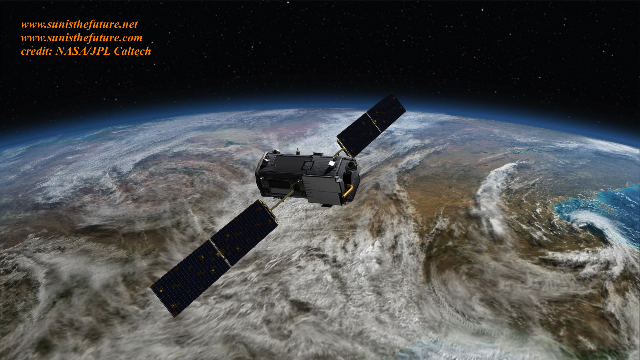 OCO-2 observations will be used to improve understanding of the natural and human-induced sources of carbon dioxide and how these emissions cycle through Earth’s oceans, land and atmosphere. OCO-2, managed by NASA’s Jet Propulsion Laboratory in Pasadena, Calif., will launch from Vandenberg Air Force Base, Calif., on a Delta II rocket. Yes, those are solar panels that you are seeing in the image above (and below). As a matter of fact, most of the space vehicles are powered by solar panels!